We’ll help you select the opener that best fits your needs. You’ll never again have to wonder whether you left the garage door open. Wifi-enabled openers let you open or close your door from anywhere using your smart phone. Enjoy peace of mind even during the worst storms. Openers with battery backup allows you to open and close your door even when the power is out. Does someone wake up every time you open your garage door late at night? Ask us about openers with ultra-quiet Whisper Drive technology. We carry all of the the leading brands including Liftmaster, Chamberlain, and Craftsman. 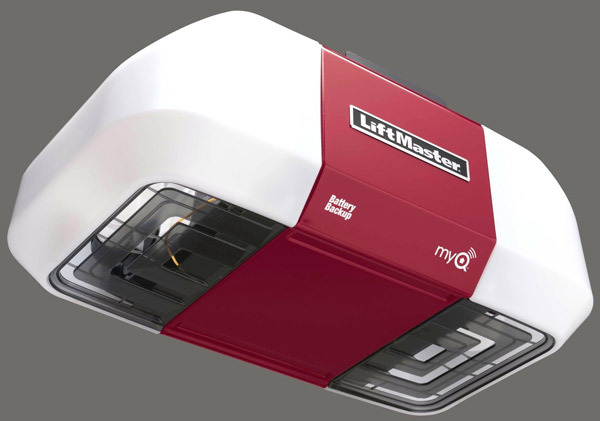 We offer a complete line of openers from LIftmaster, including their Elite Series openers that feature a full-suite of innovative features like smartphone control, battery backup and advanced security.